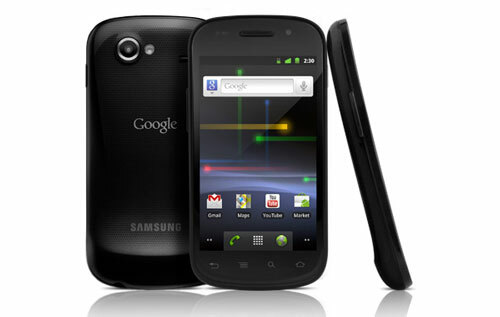 Google announced that the new Nexus S will be available in the U.S. on December 16th. Manufactured by Samsung, the Nexus S provides everything I loved about the Samsung Vibrant, and adds in the front-facing camera and mobile hotspot capability that it was missing. And, the Nexus S goes one step further—it is the first phone on the market to offer Google's Android 2.3 (Gingerbread) operating system. The Nexus S has a curved glass design that is beautiful to look at and more comfortable to hold against your ear. I'm assuming that it will use the Gorilla Glass used in other Samsung Galaxy S phones, though this wasn't mentioned in Google's release information. The screen is the same 4" AMOLED display that we love in all the Galaxy S phones. Under the hood, the Nexus S is also essentially identical. It use the same 1 GHz processor, which is already fast on Android 2.1 and should fly with Android 2.3. But in addition to the 5 MP camera found on other Galaxy S phones, the Nexus S has a VGA (640x480) front-facing camera for video chat. The Nexus S can also function as a Wi-Fi hotspot for up to six devices. Interestingly, Google says there will be "no additional carrier fees" for using the hotspot capability—which is at odds with T-Mobile's monthly $15 tethering add-on charge. All these extra features on the Nexus S add only .3 ounces above the weight of the Vibrant (4.55 versus 4.2 ounces), and it comes in .5 ounces lighter than a similarly spec'd HTC myTouch 4G at 5 ounces. Though the Nexus S runs on T-Mobile's HSPDA network, and does not offer the "4G-like" speeds the myTouch 4G gets on the more advanced HSPA+ network. Gingerbread provides a freshened user interface (though, we've been pretty happy with Android 2.1's), an improved keyboard, NFC support and a more open VoIP protocol. Of the improvements, I believe the keyboard changes will be most appreciated. 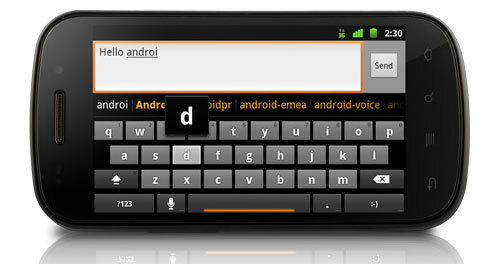 The previous version of Android's keyboard was already very good. With Gingerbread, you now get additional spacing between letters; larger font sizes; an enhanced suggest feature that uses your previous input history to guess what you're typing; and the ability to type letters, numbers and special characters all from the same screen. Copy-and-paste has also been improved with one-touch word selection and a new text selection tool. The Nexus S will be available unlocked through Best Buy, so it will work with any GSM carrier. Retail price is $529, or the familiar $199.99 with a new 2-year T-Mobile contract. Based on what we're seeing so far, there's a lot to like about the new Nexus S. We will provide a full review when we have the opportunity to do a hands-on evaluation. The Nexus S looks to be a great one, but fails in my opinion for the fact that the current available model is not compatible on Sprint or Verizon’s network due to it being a GSM phone. Not sure what’s up with that. I’ll just wait until early next year and keep an eye out for a different smartphone.